Stay up to date with all things Ofsted, including changes to the inspection handbooks and any murmurings about the new framework. We update this article whenever we hear something new. Click 'save for later' at the top of this article and we'll let you know when it's been updated. Find out what the new framework will mean for your school here. Data released by Ofsted also shows that the percentage of schools who improve in the inspection following a 'requires improvement' judgement has fallen. This means a school rated as 'requires improvement' is less likely to get a 'good' or 'outstanding' judgement at its next inspection compared to previous years. Information obtained by Schools Week also shows that none of the 'oustanding' schools inspected by Ofsted between 9 January and 1 February retained their 'outstanding' rating. On their blog, Ofsted discusses responses to on-site inspection preparation, 2-day section 8 inspections, and how inspectors will consider internal performance data. The blog points out that 2-day section 8 inspections may be overkill for very small primary schools, and that they're considering how to address this. Leadership and management in schools that remove pupils from the roll to improve exam results ('off-rolling') is likely to be judged 'inadequate', Ofsted told the TES. According to the draft inspection handbook for September 2019, schools whose leadership and management is judged to be 'inadequate' is likely to be judged 'inadequate' overall. Amanda Spielman, head of Ofsted, says that school's can't be held responsible for dealing with knife crime in the absence of properly funded local services. Read more about this on the BBC. Ofsted told the Association of School and College Leaders' annual conference that they plan to offer middle leaders 1-year secondments as full-time inspectors, Schools Week reports. Ofsted says this will allow school leaders to access training and development, and equip them with knowledge of the wide range of good practice taking place in schools around the country, that they can then take back to their schools to help them improve. Ofsted has revealed that responses to proposals for on-site inspection preparation have been overwhelmingly negative. Matthew Purves, Ofsted's deputy director for schools, told the TES that he still believes on-site preparation is a good idea. But Ofsted is taking all of the negative feedback into account and considering whether to move forward with the proposal. A 12-month transition period will be in place from September 2019 to allow schools time to think about and develop their curriculums in light of the new inspection framework. Ofsted's head of research, Professor Daniel Muijs, suggested that Ofsted may extend this period based on the outcomes of inspections in the first 12 months. Read more about this in TES. Some schools have launched legal challenges to have their inspection results amended. Ofsted's Matthew Purves said such actions were 'foolhardy' and a waste of taxpayer money, according to Schools Week. Ofsted's first MAT summary evaluation was for Truro and Penwith Academy Trust, which has 25 schools. Ofsted inspected 6 of the trusts schools, interviewed members of the central team, and spoke to senior leaders in 10 schools about the support they receive from the trust. They also scrutinised trust documents, such as strategic plans and minutes from meetings. Read more about it in Schools Week. In statements obtained by the TES, the head of the NAHT says the new judgement tries to cover too much ground, and that it could end up promoting just as much fear and perverse incentives as previous frameworks. 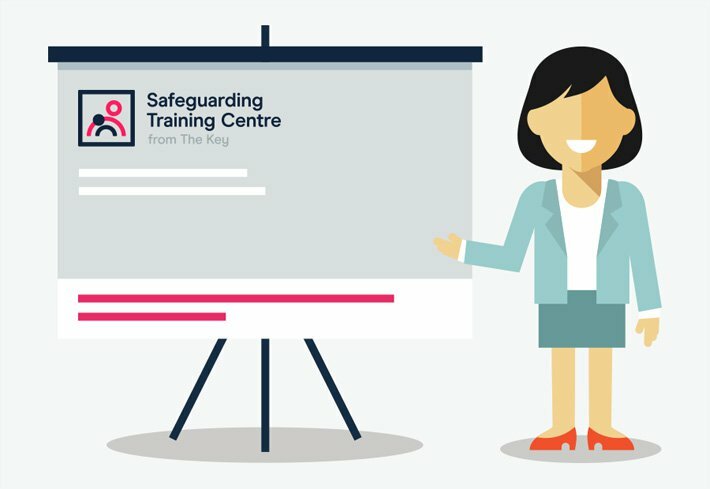 Read our full summary of the changes, as well as Ofsted's draft inspection framework and draft inspection handbook for maintained schools and academies. Respond to the consultation by 5 April 2019 using the online survey. You’ll also find examples of questions inspectors might ask about curriculum quality (see slide 21). 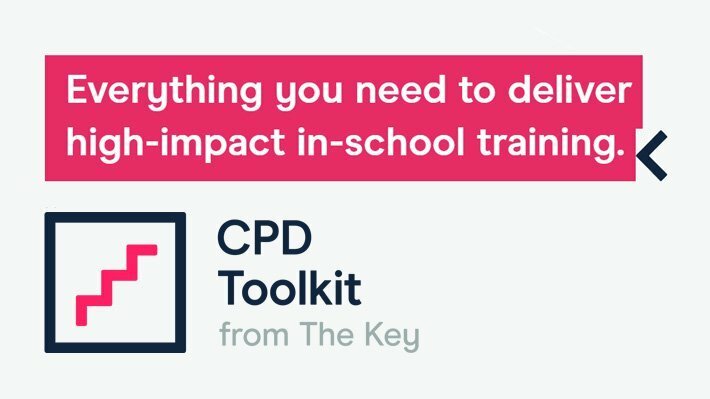 Figure out your curriculum's intent, implementation and impact with our prompts, and find out more about what the new framework means for your school. Education secretary Damian Hinds acknowledged the new approach in a letter to HMCI Amanda Spielman, and urged her to ensure the visits in stage 2 of the process “do not create undue burdens on the schools or MAT”. He’s called for consistent use of the term ‘MAT summary evaluation’ to describe this process, and wants to avoid these evaluations being described as ‘MAT inspections’. '150 minutes’ notice' for inspections under new framework? 12 December: Tes is reporting that inspectors could give just over 2 hours warning before arriving the same day under the new framework. Inspectors would arrive at the school to prepare and discuss plans with leaders, before beginning a formal inspection the next day. Ofsted itself says it has "no plans to reduce the formal notice period", but Tes suggests that this proposal wouldn't be an adjustment to the notice period, as the actual inspection wouldn't begin until the next day. In her commentary, Amanda Spielman reiterated that Ofsted would try to keep the overall proportion of schools achieving each grade "roughly the same" between the old framework and new, and emphasised that Ofsted will better recognise schools in challenging circumstances. 10 December: Ofsted’s working on a project to replace Parent View with a new service, HMCI Amanda Spielman has revealed in a letter to the Public Accounts Committee. She said the new system is being designed to “increase the volume, quality and diversity of views” it gathers from parents. 3 December: Schools minister Nick Gibb has asked Ofsted to review its current risk assessment arrangements and inspect 10% of ‘outstanding’ schools this coming year. This is in response to the concerns raised by the National Audit Office and the Public Accounts Committee about the impact of the government’s exemption policy. The exemption of ‘outstanding’ schools from routine inspection remains in place. 12 November: The DfE is "considering" the Public Accounts Committee's recommendation for the government to review the inspection exemption for 'outstanding' schools, schools minister Nick Gibb told the House of Commons. It'll be responding formally in December. 15 October: Inspectors will place greater emphasis on discussions with senior and middle leaders, and "away from teaching itself", under the new framework. The 'overall effectiveness' judgement and the current 4-point grading system, including the 'outstanding' grade, will remain the same. There'll be a consultation on the proposals in January. Find out what the new inspection framework means for your school. 2 October: Ofsted has developed a new website for its inspection reports. It's simpler to access on non-desktop devices and makes it easier to find information. 12 September: Headteachers have urged Ofsted to “pause” the launch of its new inspection framework, citing concerns about the additional teacher workload it could bring. 7 September: Ofsted’s short inspections don’t give inspectors enough time to “make a meaningful assessment of a school’s performance”, according to a new report from the public accounts committee. Read more in the update here. 9 July: HMCI Amanda Spielman said that, in her view, teachers are expected to give children a “proper understanding” of British values and what these values have contributed (and continue to contribute) to the strength and success of British society. In a speech to the Policy Exchange think tank, she also rejected the suggestion that Ofsted has “an anti-faith school bias”. Inspectors won't expect school leaders to have developed or to present separate plans about the EBacc, or to provide additional information outside of their normal curriculum planning. The decision on whether Ofsted will carry out full inspections of MATs, and what this will look like, rests with the Department for Education (DfE). The DfE is working with Ofsted to develop new approaches to better scrutinise MATs, according to former education secretary Justine Greening. Currently, academies in a MAT are bundled together for inspection, which in turn acts as sufficient judgement for the MAT as a whole. 12 June: Sean Harford blogged to explain how Ofsted inspects careers guidance and what its expectations are, and revealed that Ofsted is considering how careers provision will fit into Ofsted’s 2019 inspection framework. 25 May: Ofsted’s head of strategic development has suggested its reports will become more accessible to parents under its 2019 framework. 25 May: Sean Harford, Ofsted’s national director of education, explained that as every school and every school leadership team is different, “no experience of inspection is identical to any other”. He explained that inspectors will also consider a school's context when they make their judgements. 24 May: A National Audit Office (NAO) report on Ofsted’s inspection of schools reveals that 296 schools haven’t been inspected for 10 years or more. HMCI Amanda Spielman responded by emphasising that the NAO's conclusion that Ofsted doesn't provide value for money is "explicitly not the same as demonstrating that we do not provide value". Ofsted is actively lobbying the DfE to change the current system and include 'outstanding' schools in the normal cycle, according to reports from the BBC, The Guardian and TES. 'Outstanding' schools are currently exempt from routine inspections.